Background Vocals & Percussion: Nick Sinopoli. Bass & Background Vocals: Jeff Jones. Drums, Percussion & Background Vocals: Sean Fitzsimons. Guitars & Background Vocals: Dave Love. Guitars, Slide Guitar & Background Vocals: Michael “Mickey Zee” Zweig. Handclaps on “The Walk”: Sam Boyd, Gillles Paquin, Lorne Saifer. Additional background vocals on “Good Times” Lil Sarafian, Barb Sherk Fitzsimons. Additional background vocals & handclaps on “Don’t You Just Know It”: Sam Boyd, Lydia Hoshmand, Ashley Moniz, Barry Roden, Lil Sarafian. Tambourine on “Agent Double-O Soul”: Lorne Saifer, Gilles Paquin, Burton Cummings. 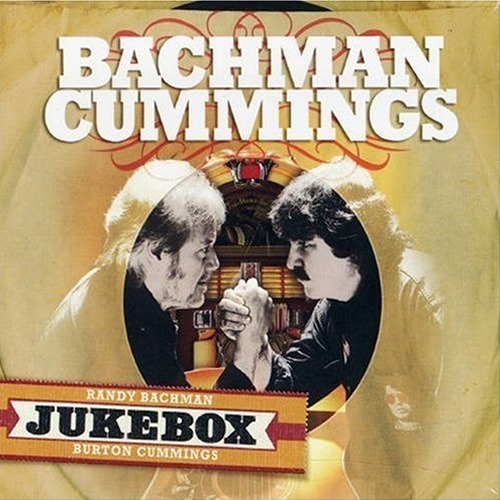 Except “American Woman 2007” – Burton Cummings, Randy Bachman & Sam Boyd. Executive Producer: Lorne Saifer. Co-Executive Producer: Giles Paquin. Recorded November 2006 at Metalworks Studios, Toronto except “American Woman 2007” – recorded live at CBC soundstage rehearsals, March 2006 by Nark Scola. Additional recording at Metalworks, November 2006 & March 2007. Deluxe edition of this Canadian import includes a bonus DVD: The Jukebox Interviews.